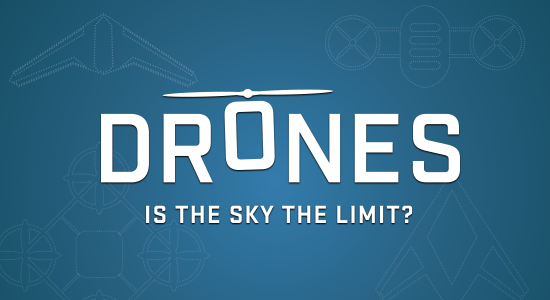 We are delighted to announce that we are collaborating with the Intrepid Sea, Air & Space Museum in Manhattan on their exhibition, “Drones: Is The Sky The Limit?” The show, which will bring together dozens of important drones, traces the history of unmanned systems technology, its rapid proliferation, and its expansive future. The exhibition opens in May; more information can be found here. At the Orlando Sentinel, Bryan Wynne argues that the Orlando City Council should not adopt new measures that could restrict drone businesses. At The Intercept, Jeremy Scahill writes that Ibrahim al Banna, the target of a 2011 U.S. drone strike that killed Abdulrahman al-Awlaki, is still alive. At Just Security, Luke Hartig considers whether the Trump administration may unravel President Obama’s policies governing drone strikes. At the Hill, Lisa Ellman offers three ways that the Trump administration can positively shape the drone industry. At InterDrone, Christina Cardoza speaks with the CEOs of drone companies about what to expect in 2017. At Al Jazeera, John Beck looks at how ISIL is increasingly turning to armed drones to carry out suicide attacks. At TechCrunch, Matthew Lynley reports that the GoPro Karma drone could be fixed easily with a piece of tape, according to GoPro CEO Nick Woodman. At Reuters, Jeremy Wagstaff and Swati Pandey look at the growing number of companies that are developing counter-drone technologies. At Forbes, five experts weigh in on how companies will manage the large quantities of data generated by drones. At Vocativ, Jennings Brown takes a closer look at the Defense Advanced Research Projects Agency’s ALIAS program, which is developing systems to turn manned aircraft into autonomous vehicles. At the Harvard International Review, Stephen Goose and Mary Wareham call for greater international cooperation in the campaign the to ban lethal autonomous weapons. Washington State legislators have filed a bill that would ban drone flights over private property.